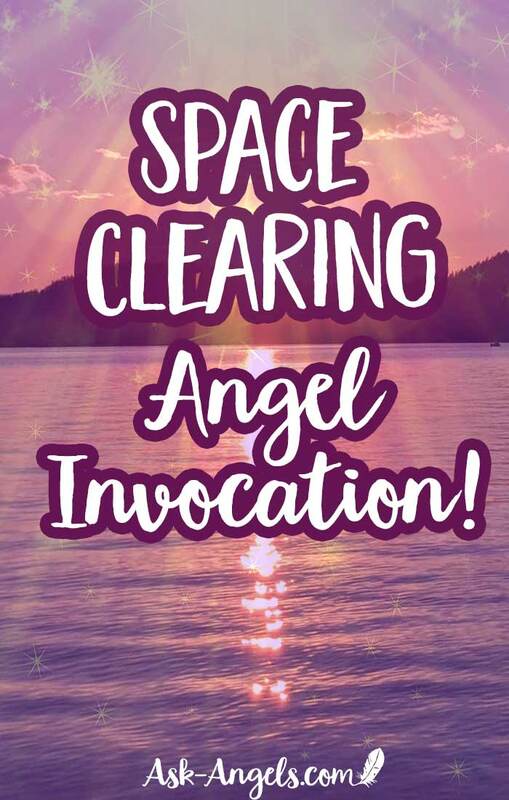 Space Clearing Invocation ~ Clear Your Space with the Angels! Invoke the Archangels and pure Divine Source Light to clear your space, raise your vibration and realign with your highest Divine light and potential. Simply relax and listen or repeat the words to invoke powerful Space Clearing assistance from Archangel Uriel, Archangel Raphael, Archangel Michael, Archangel Gabriel, Archangel Sandalphon, and Archangel Metatron. I now call upon Divine white light, and ask that my highest, best, most living possible guides and angels please come in and connect with me now. Enter into my home and release into the light any and all negativity, density, and stuck or stagnant energy which is present. Please cleanse and uplift the energy of this space and help me to create a loving, happy and supportive environment here for myself and my loved ones. Please release negativity present in my home in any form, into the light of the Divine, for the highest and greatest good. Archangel Uriel, dissolve into the light any remaining negative energies or limiting patterns of thought which are tied to this space. Archangel Gabriel, release any remnants of arguments, misunderstandings, doubts or fears. Archangel Michael, cut any and all draining cords, and release them into the light along with any negative emotions, or memories tied to past, present, or future events that may still be connected to this space. Bringing in light, harmony and peace below… All the way down to the crystalline core of Gaia. Cleanse and releasing the old and outdated and realign the perfect geometric coherence of love, peace and light. I now ask that my entire home be filled with unconditional love, light joy, positive energy and compassion. Angels, please surround my home with your angelic energy of protection, support, and care. Check out the Divine Light Cleanse inside of the Spiritual Cleansing Sessions here! I found this video to be truly beautiful, I’m not sure if I was meant to be meditating while watching this and I’ll be honest I didn’t meditate so could that be the reason nothing happened??? Sometimes things are happening, but if you’re not in the right state of receptivity you can totally miss them. I would recommend consciously getting into a relaxed and meditative state and try listening again. Or read the words aloud with energy to really invoke the angels and invite the clearing light in! Thank you Melanie dear angel – This is so timely for me for some many reasons. Thank you for your generosity and care for all of us. i LOVE it MELANIE THANK YOU! VERY REFRESHING ! EVEN IT WAS A SHORT VIDEO BUT IT DID A LOT , I WAS IN A TRANCE. RAISED MY VIBRATION FELT ALL MY ANGELS REALLY CLOSE WITH ME! Thanks for this it does work but didn’t seem to last for me. I pray every mornng and night but why don’t prayers get answered. I just don’t know anymore what to do. I don’t ask for a lot and I’ve helped people, in the end I suffer. 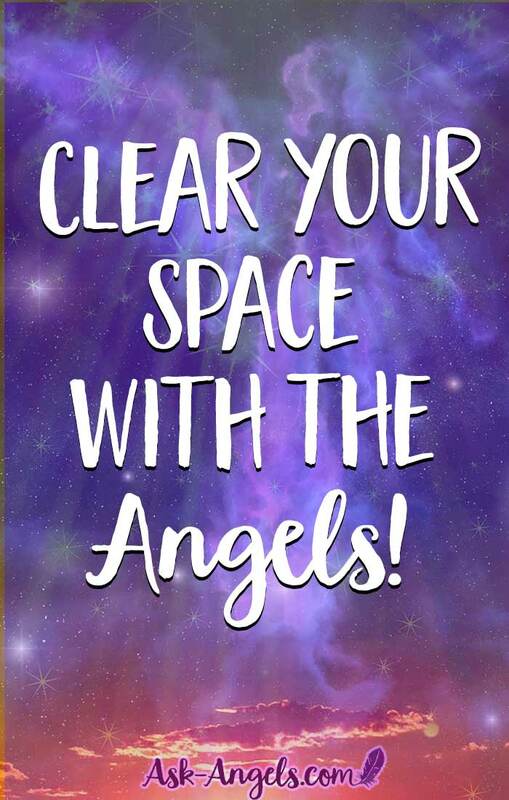 Sorry to hear you’re feeling so challenged Bob… I would recommend shifting into massive action to create the change you seek, that’s really when and where you begin to align with angelic assistance. I did the quick meditation and feel very light as I invited them into my home. Thank you for this video as I will do it more often. This certainly worked – I felt tingling initially, then the energies uplifted to release any negativity lingering or other lower vibrational energies that should not be there. Upon opening my eyes the light in my space was really bright! Thank you Melanie for this video – sending you Love, Blessings and Light!